Heads-up to all innovative mobile start-up companies in Japan: While the 3rd annual MoMo Global Summit in Helsinki last September seems like only yesterday, we’re already looking forward to Kuala Lumpur, in mid-May. The Global Peer Awards will play a central part in the Malaysia Global Summit, so we are thrilled to announce that representatives from the local mobile community will compete for the MoMo Tokyo Peer Awards – March 24th in the ultra upscale presentation hall of Shinsei Banks HQ. Details below. The mobile browser wars are set to heat up in 2008 so it’s a good time for a themed event digging into issues such as user interface and open standards. We have lined-up three really fantastic speakers from W3C and Mozilla.. so Register now and we’ll see you on February 18th, please note this is an “industry only” event, so no recruiters or life insurance sales people need apply. 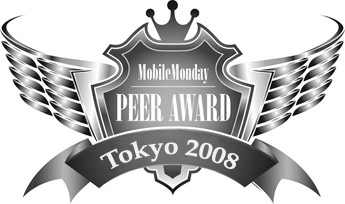 Also, we are starting to get some great companies coming online for the MoMo Tokyo 2008 Peer Awards, more Details Here. Welcome to the Year of the Mighty Mobile Mouse..!! Chances are it’s been a hell-rush for everyone coming back to work here last week. We hope you had a super holiday season and are ready for what should be a great 2008! We’re looking forward to connecting with you for a few sociable drinks – and plenty of networking – on Jan. 28 in Harajuku. This MoMo is an ‘Open-To–All’ event – see full details for venue location, etc. below.